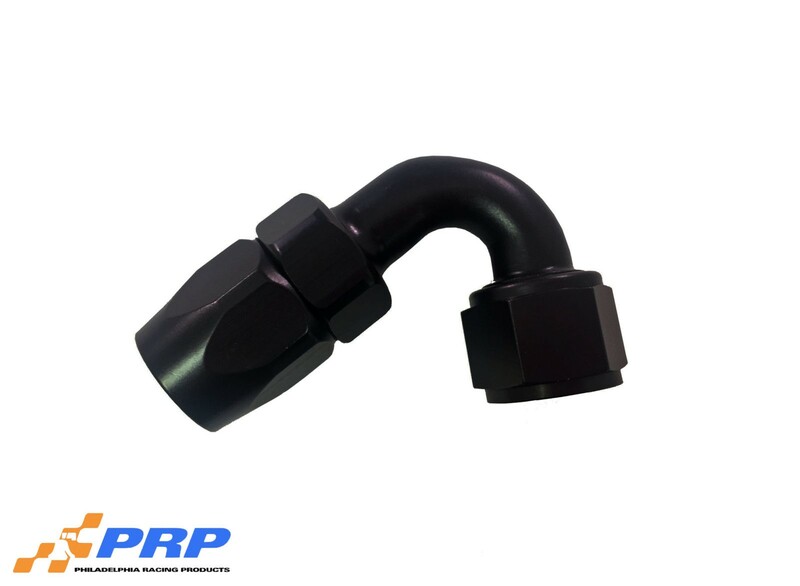 PRP’s 120 Degree Elbow Hose Ends are machined from light-weight aluminum to AN standards. Fittings are designed for a smooth flow, and easy assembly. Elbows are made from one piece tube construction to prevent braze joints. Each fitting is completed with a black anodized finish for corrosion protection.